Published in Industry Updates on 01/08/2018 by Harry Lew, Chief Content Writer. Have you ever reported an auto insurance claim by phone? Do your auto insurance clients use this new technology? If not, you—and they—are not alone. Despite aggressive promotion for mobile auto insurance apps and growing consumer use of the Internet to buy insurance, U.S. customers are not rushing to try digital claims reporting apps, according to the J.D. Power 2017 U.S. Auto Claims Satisfaction Study.SM The finding is important due to rising claims frequency and high losses, which demand that insurers control costs through better application of technology. Few customers are trying digital first notice of loss (FNOL) software: Nearly one-fourth (22 percent) of auto insurance customers begin their auto insurer relationship online. Yet just 9 percent of customers elect to file their loss notices digitally using the web or a mobile app. Even among Gen Y customers, who are most likely to report a claim digitally, only 12 percent are using FNOL technology, an increase of just 2 percentage points since 2016. Even worse, overall satisfaction is 16 points lower (on a 1,000-point scale) among customers who use digital FNOL offerings vs. those who report their claims over the phone. 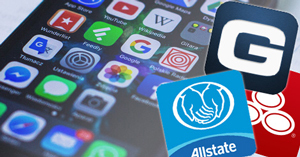 Digital appraisal and status updates are catching on: While adoption rates and satisfaction with digital FNOL offerings have been weak, digital status updates and appraisal offerings, which let customers upload damage photos via a mobile app, are used by approximately 16 percent of auto insurance claimants. What’s more, overall satisfaction is 33 points higher among customers who receive digital status updates compared with those who don’t. Who’s most satisfied with digital appraisal apps? Impact is mixed based on consumer age, with satisfaction improving by 26 points among Gen Y and declining by 16 points among Pre-Boomers. Claim servicing is the top satisfaction driver, but results vary widely: Claim servicing is the key driver of overall satisfaction. However, it also has the largest variability when comparing the highest and lowest insurer scores. For example, the top performer in the claims servicing area has an overall customer satisfaction score that is 104 points higher than the lowest performer. The J.D. Power study is based on responses from 11,857 auto insurance customers who settled a claim within the past six months prior to taking the survey. The study excludes claimants whose vehicle incurred only glass/windshield damage or was stolen, or who only filed a roadside assistance claim. Survey data was collected from November 2016 through August 2017. For more information about the U.S. Auto Claims Satisfaction Study, visit http://www.jdpower.com/resource/jd-power-us-auto-claims-satisfaction-study.